A few years ago I was on a SF/F panel about bringing new readers into the genre. I mentioned that SF needed more gateway novels, at which point the other author on the panel snorted and said we don’t need new gateway novels … the Heinlein juveniles are still perfect. That is the type of attitude which people should fear because it will kill our genre. But new readers not discovering SF/F through the classic authors you grew up on — that’s nothing to worry about. His critique was not aimed at the classics themselves, but rather at older fans and pros who belittle younger people who first learned to love science fiction and fantasy by encountering newer works, or who lecture people who aren’t familiar with many works published 70 or more years ago, or gripe that “real” fandom is greying and dying off. Reading the original post and some of the fallout left me feeling a bit guilty for ways that I have no doubt come across that way myself. I do react with great incredulity when a friend, regardless of age, isn’t familiar with a book, series of books, or movie that I consider a classic, for instance. I try to get people to watch some of the old movies or read the old books that I loved. It also made me wonder about the series of posts I’ve been doing for Throwback Thursday the last 6+ months, the “more of why I love sf/f” posts. I started those posts as a personal antidote to the sturm und drang over the affair of the melancholy canines. Because I read a lot of sci fi blogs, and because I was determined to read all the Hugo-nominated works before filling out my ballot, I knew I was likely to spend a lot of time being outraged and otherwise upset about things people were saying about some types of sci fi. So I decided it would be a good idea to write a weekly post in which I would only talk about something I loved from the genre. Since I like having a regular deadline, I needed to pick a day, and it occurred to me that if I focused on works that were influential in my formative years, then I could post them on Thursdays and tag them as Throwback Thursdays. So I gave myself that assignment. These posts have been about things I loved in science fiction and fantasy. I’ve written about works that spoke to me in important ways when I was a kid. Many times I’ve mentioned how a particular story or movie or series gave me hints that someday, when I wasn’t a closeted queer kid living among anti-science and anti-gay evangelicals, life would get better. None of which is meant to imply that people who aren’t familiar with or don’t like any of the things I’ve written about are any less real fans than I am, nor that there is anything wrong with treasuring different authors or works. Not that anyone probably has, but I think it’s important to acknowledge that I’m an old white guy, and what I experienced growing up is going to be very different for fans who aren’t guys, or white… or whose teen-age years are much more recent than mine. It’s also important to realize that a lot of things that we loved when we were younger don’t always hold up when we’re older. Before I started the “more of why I love sf/f” posts, I’d written about reading some books by a favorite author from my teens and early twenties, and how difficult some of her books were for me to read, now. Some are fine, but some of them have definitely not aged well. 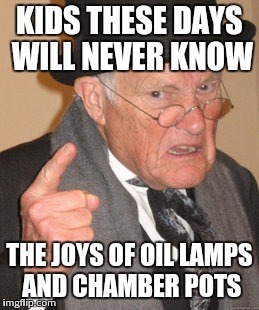 And I felt really bad for not liking some of them as much as I did when I was younger. Because I’m doing National Novel Writing Month (my project is to finish the revision on two of my fantasy novels) there will be a lot fewer blog posts of any kind from me. And those “more of why I love sf/f” posts take more time than others of similar length, because I research the work and author in question. Yes, I’m writing about things I loved, but in some of the cases they are books or shows I encountered before my teens, so I want to make certain I’m remembering them correctly. I will resume the posts after November. And I will probably continue to focus on books and stories from my younger days. I mean, I averaged reading more than seven novels a week through most of middle school, for goodness sake! There is a lot of potential material to write about!